The Clog strongly believes that this effort is actually a conspiracy to force students to eat at the over-priced Free Speech Movement Cafe. It is bad enough that the university profits over something it tries to halt —it is an egregious offense to charge almost seven bucks for a panini. To successfully pull off eating in no-food-zones, the Clog recommends foods that are small, not messy, and can be easily stuffed into a backpack. Carrots, pretzels and Cliff Bars all fit this bill. 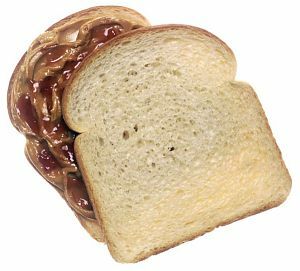 However, the Clog would be amiss not to mention our personal favorite contraband: a peanut butter and jelly sandwich (on second thought, refrain from clicking the link). This delicacy takes a bit more maneuvering to eat, but it is worth the risk. Also, as a message of encouragement to all those students bunkered down in hibernation, there is a light at the end of the tunnel. And yes, that light is called the sun. P.S. We told you not to click it, but no, you just had to go ahead and do it.